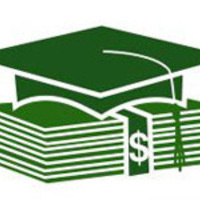 AAUW Harrisburg announces three college scholarships available to women from Dauphin, Cumberland, and Perry County who are pursuing degrees in the 2019-2020 academic year. Completed applications are due June 1, 2019. The Ronald D. and Kathleen A. Krausse STEM Scholarship ($1,500) will be awarded to a female resident of Dauphin, Cumberland, or Perry County who attends an accredited college or university in Pennsylvania in pursuit of a bachelor’s degree in a STEM major. Requirements include completion of 30 credits, minimum 3.25 GPA, demonstration of financial need, and enrollment as a full-time student in the 2019-2020 academic year. Get the 2019-20 application packet. The Beverly J. Smith Memorial Scholarship ($2,500) will be awarded to a female resident of Dauphin, Cumberland, or Perry County who attends an accredited college or university in Pennsylvania in pursuit of a bachelor’s degree. Requirements include completion of 60 credits, a minimum 3.40 GPA, demonstration of financial need, and enrollment as a full-time student for the 2019-2020 academic year. Get the 2019-20 application packet. The Mary Lou McDowell Scholarship ($1,000) will be awarded to a female resident of Dauphin, Cumberland, or Perry County who attends an accredited college or university in Pennsylvania in pursuit of an associate or bachelor’s degree. Requirements include completion of 15 credits, minimum 3.25 GPA, demonstration of financial need, and enrollment on at least a half-time basis (6 credits per term) for the 2019-2020 academic year. Get the 2019-20 application packet. Each year, a scholarship committee made up of branch members oversees the application process. Scholarship applications are made available annually and application packages are sent to the financial aid offices of colleges and universities across the Commonwealth. Completed applications are due June 1, 2019. The committee reviews applications to ensure that all requirements have been met and scores them based on need and may interview finalists as part of the selection process. The awardees will be honored at one of our branch luncheon meetings. The scholarship recipients may also receive branch support to attend the National Conference for College Women Student Leaders. The awardees are members of the branch for the year and are encouraged to join programs and activities as their time allows. AAUW encourages them to continue their membership to lend a hand to those that follow and to make lasting friendship and ties to help guide their futures.